True to its name, Dreamland takes you into a dream world with its amazing and glamorous interiors. 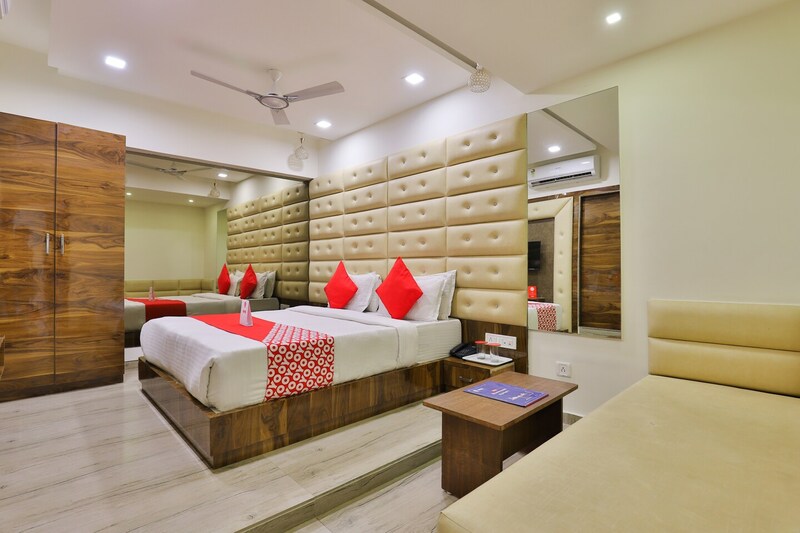 Centrally located, the property has beautiful rooms that are equipped with amenities that are essential for a convenient and comfortable stay. The bathrooms are pretty, neat and clean and furnished with modern fittings and a geyser for when the weather gets cold.The hotel offers facilities like secured parking to keep your vehicles safe, CCTV cameras to ensure your safety, free Wi-Fi which enables you to browse high-speed internet, and laundry service. Many key tourist spots like Vastral Lake, BAPS Swaminarayan Temple are in its vicinity. There are many nice restaurants nearby this hotel which you can visit whenever you feel the need to fill your belly with delicious food.